An Army Cadet Force piper from Elgin has travelled to Switzerland to perform at an International Christmas Tattoo. Cadet Pipe Major Ryan Anderson is one of six members of 1st Battalion The Highlanders that will be playing in Basel between Wednesday and Saturday. The cadets departed yesterday and will return next Sunday. Pipe Maj Anderson could not quite believe he had been asked to represent the battalion in Switzerland. 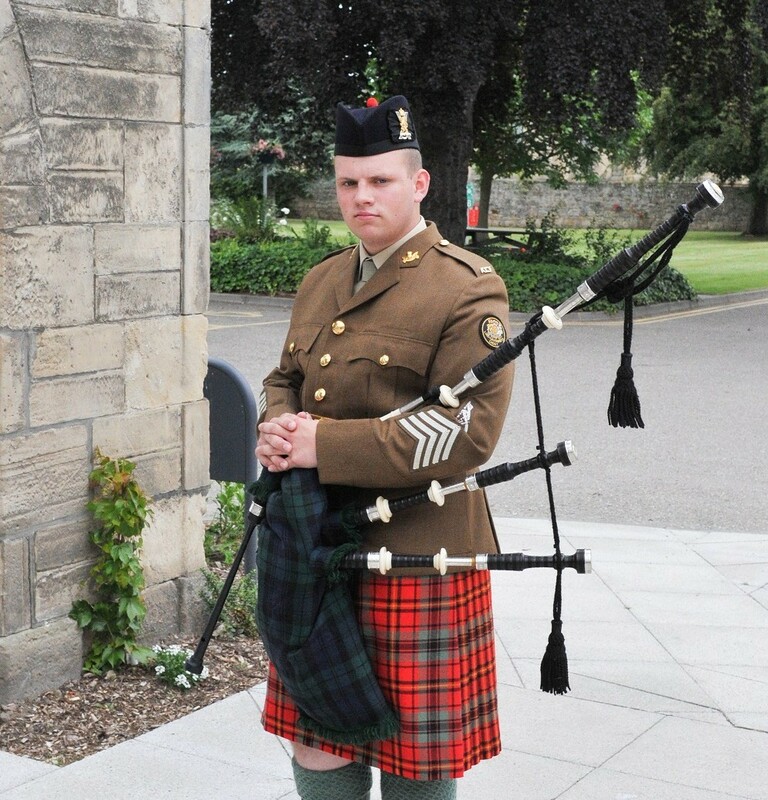 The Elgin piper has been involved with ACF Pipes & Drums since early 2012. Since April, he has participated in numerous events including the ACFA beating retreat at Edinburgh Castle, the sergeants’ mess at the battalion’s summer annual camp at Otterburn in Northumbria and the Highland Military Tattoo. Pipe Maj Anderson is the Lord Lieutenant’s Cadet of Moray and has performed for royalty three times this year – for the Princess Royal in Elgin in July, the Queen at Balmoral Castle in August and the Queen again as she disembarked from the royal train on her visit to RAF Lossiemouth two weeks ago. This is the second year members of the battalion have played at the Christmas Tattoo as part of the Army Cadet Force Pipes & Drums.